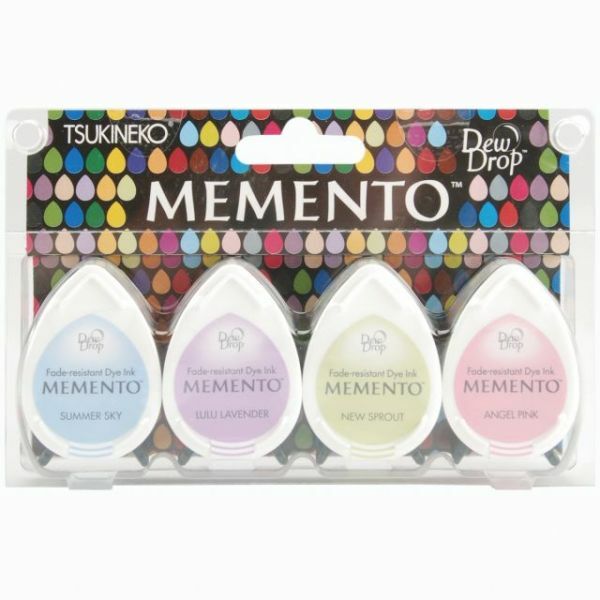 Memento Dew Drop Dye Ink Pads 4/Pkg - TSUKINEKO-Memento Dew Drop Ink Pad: 4pk. This ink is made of pigment ink that dries naturally on vellum and glossy paper. Works great on leather, polymer clay, mica, acetate and more. 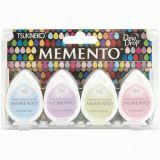 Perfect for embossing too! Non-toxic, fast drying, fade resistant, archival safe and acid-free. This package contains four Pads 1-1/2x1in stamp pads. Imported.